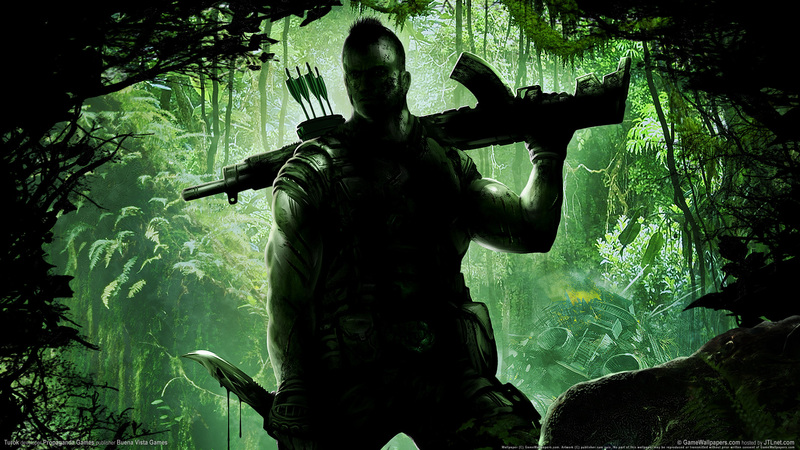 Краткое описание: Much like your usual 1st person shooter, although with dinosaurs as your main enemy. Includes 14 high tech weapons, like the Quad Rocket Launcher and the Atomic Fusion Cannon. 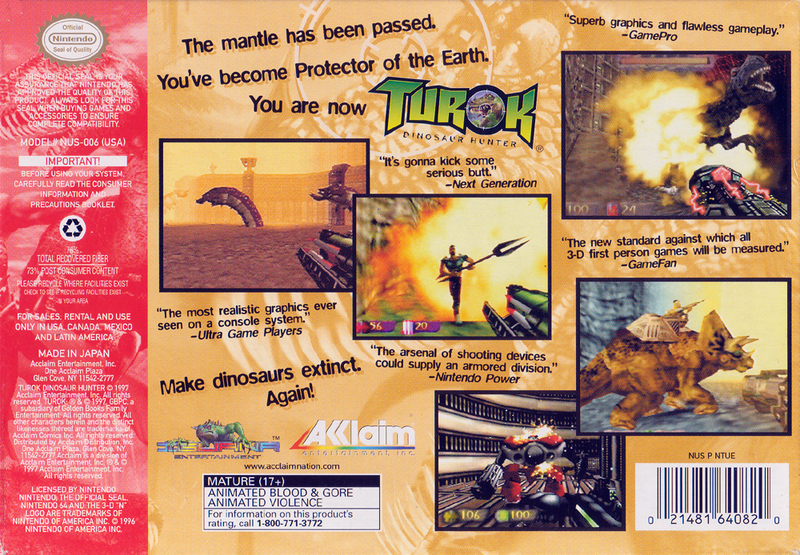 You control Turok, who must take on the Campaigner and his highly evolved dino's. 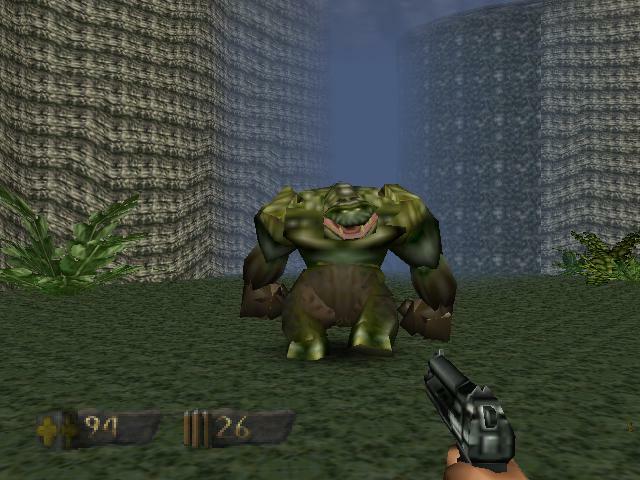 The objective is to collect pieces of the Chronoscepter, which is the only weapon that can help to destory the Campaigner, and to stop him from using the power of the weapon to destory the Lost Land. 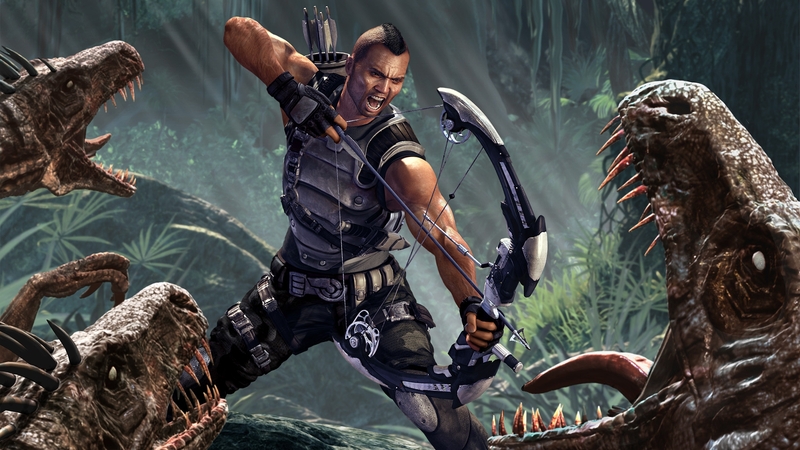 Much like your usual 1st person shooter, although with dinosaurs as your main enemy. Includes 14 high tech weapons, like the Quad Rocket Launcher and the Atomic Fusion Cannon. 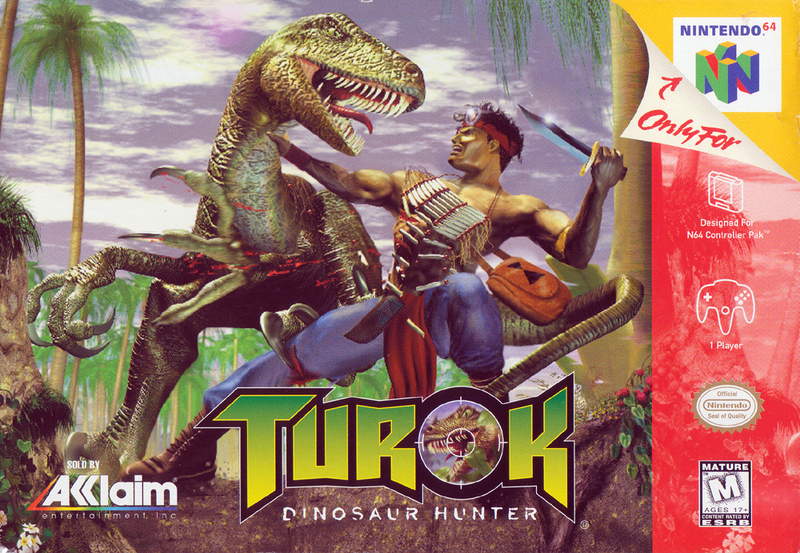 You control Turok, who must take on the Campaigner and his highly evolved dino's. The objective is to collect pieces of the Chronoscepter, which is the only weapon that can help to destory the Campaigner, and to stop him from using the power of the weapon to destory the Lost Land.